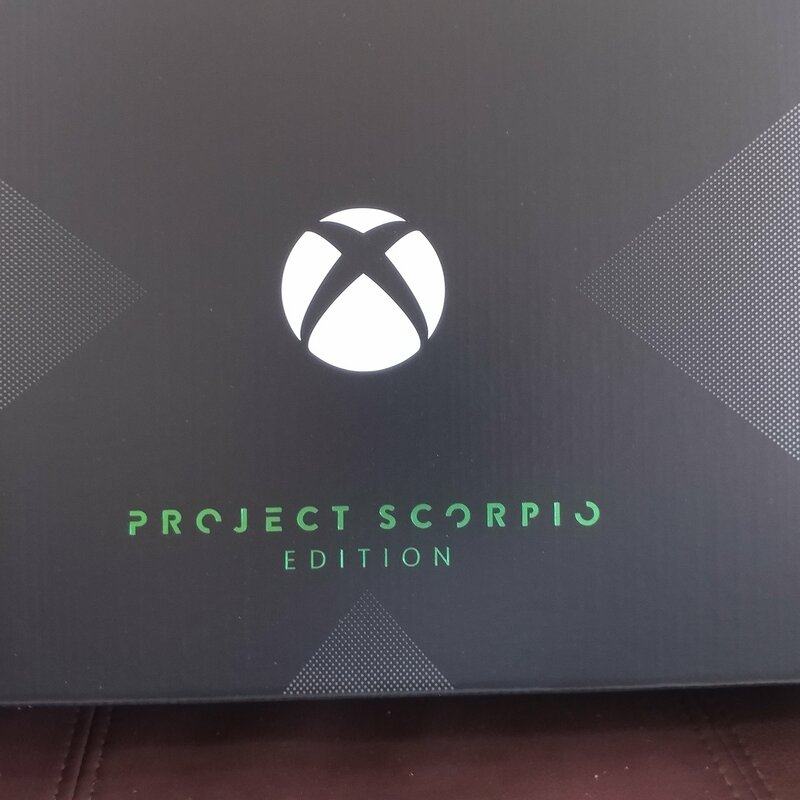 I just received my project Scorpio and I am amazed at how small and heavy and unassuming this box looks. What is obvious right away is the quality of construction the heft and weight of this little box that is as heavy as any laptop I have ever held. And it is fitting that I said laptop because this box is as powerful as a $2,000 gaming laptop. The packaging was so nice and neat compact I almost didn’t want to unpack it. But all that power and all those videos I had seen about the quality of the graphics was calling me. Now I give props to Microsoft for in the old Xbox heading in the settings is the ability to back up your settings and games. You can also use the network for copying files or games from both boxes via network. I had all my games and all my settings backed up to the removable hard drive that I used with my Xbox One. So it was easy as unbox your Xbox One X plug it in and plug your removable hard drive in. Then when you start it it ! It says back up found and you click restore then it basically copies and sets everything up just like you had before. Upon startup one thing is for sure that this box is much faster. After starting it up it’s queer did all the games that I didn’t copy over to my removable hard drive is not showing up. Since I moved my Xbox One into the bedroom and hooked it up to my gigabyte ethernet network of my apartment. It was easy to use the network copy function. I copied all the remaining games that were on the internal hard drive to my Xbox One X. Within 15 minutes and I’m talking hundreds of arcade type games where installed. The first game that I tried was Forza 7 which already looked amazingly good but I could see visual improvements. like the way brake lights reflected on the pavement or like the Flames coming out of the tailpipe much crispier. It was also evident that the game was much smoother and thief were no hiccups. All the concrete and pavement look much smoother and less granier. The next game that I started and I figured I would see little Improvement but instead sort tons of improvements with Skyrim this game was very old and very grainy or jagad when it was first released. But I also bought this game from my computer and my computer with its $450 video card. This game look as good on my new console as it does on my computer with all the settings on Ultra. So the Xbox one X did deliver what was promised and it does it so with such Grace and ease. There will be those that complain about the large texture size of the packs that you have to download. But let’s face it if you’re using the computer version of the game you have those file sizes anyhow. And even though this outperforms by 4 the Sony PlayStation Pro the die-hard elites will not admit it. 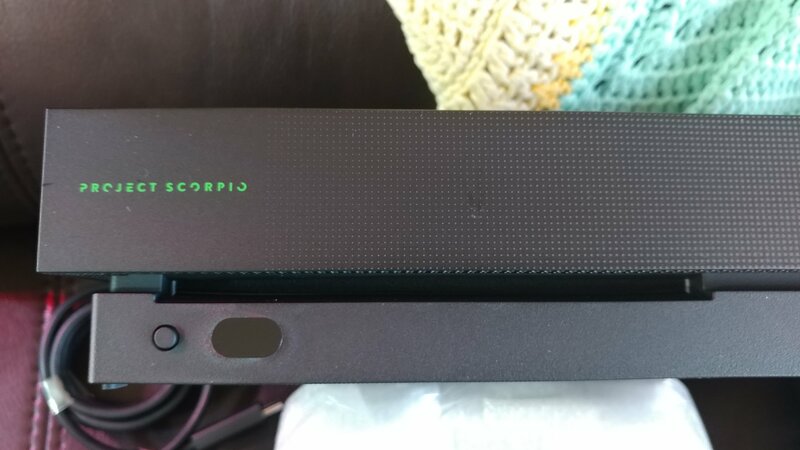 This console I believe will become the console that all other consoles have to live up to. And from hearing comments from Phil Spector about the future I believe that we may eventually see Windows on this console in the next Generations. Phil Spector has indicated that in the future it seems Microsoft wants to create one box that will do everything and do it well. So there will be no distinction between your gaming box and your computer. The only way I think that they can achieve this is to create something like the Xbox One X. Then put Windows in it and allow you to upgrade it. Then sell the games and the services it will be cross-platform. So in essence they will become a game manufacturer, distributor, and service provider and make their money on that. Now I have been wrong before like I did think the Windows phone would do well and survive. Thank you and God bless America !